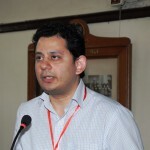 Kashmir played an important part in Krishan Chander’s fiction; he initially spent a lot of time in Poonch owing to his father’s employment there and used to return to Kashmir whenever the opportunity afforded itself. But Kashmir is not bread, it is a land of living, feeling, eating, drinking, loving and patriotic people; they have a right to determine their own destiny. If a small country like Switzerland can remain independent within Europe, why can’t Kashmir remain so among India, Pakistan, China and Russia? Why are the ruling classes of Pakistan and India bent on pulling this country into their sphere of influence, why are their armies positioned there? We don’t need any military assistance, rather everyone’s friendship. So would all of you please leave this area, we absolutely don’t need you; we will organise our house by ourselves… this is the same game which is being played out in Greece, Korea, Vietnam, Indonesia, Malaya and Burma, and the tricks are sometimes different according to local conditions, but the goals are one: imperialist plunder. 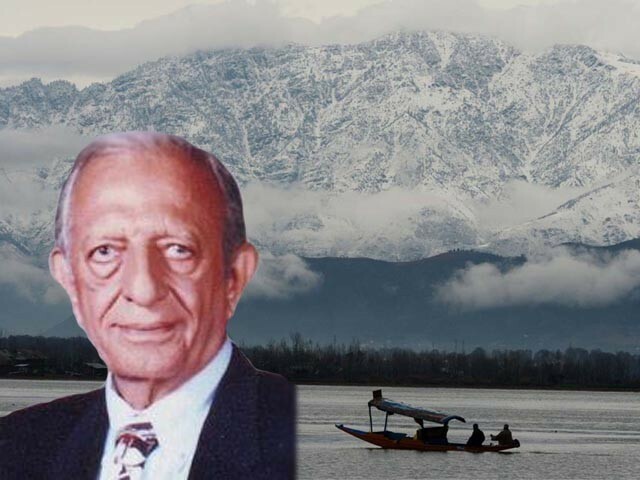 That Kashmir is like paradise was not known to me until I was thrown out of it, meaning that because I had lived there since my childhood, for me the beauty of its gardens, the charm of its valleys, the allure of its lakes, the sheer grandeur and scale of its mountains was of little wonder to me. I used to think perhaps the world was similarly beautiful, such beautiful scenes were to be found everywhere, the setting sun must be spreading its gold in the blues of the lake in the same manner, millions of colourful flowers must be blooming on some unknown ravine in the dewy fog-cover; the cluster of tall trees on the mountain standing silent on a mysterious pass, looking on from one mountain chain to another, it must be surprised by the echo of a honeybee working inside the hives. The way the reflection of the snow-clad peaks is broken suddenly by the hands of a delicate Kashmiri damsel boating in the dawn-filled Dal Lake. These and thousands of such beautiful scenes are to be found in other places; I used to think like this in my childhood, adolescence and the early days of my youth. But when I ventured out of Kashmir for higher education with my parents’ agreement, then I knew how wrong my thoughts were, for the value of paradise is known when one is out of it. It wasn’t the case that the world outside Kashmir wasn’t beautiful. The whole world is beautiful. Beauty, allure and charm is to be found in every corner of the world; but the beauty, allure, charm of nature which I have seen in Kashmir I haven’t seen anywhere else yet in such an orchestrated form. Maybe this is a thought from my childhood and you know how strong childhood thoughts are, how they spread their roots in the fibres and veins of one’s heart. I have also seen such friends who talk of their village tamarind wild bush in the same manner as I do of the flower-clad valleys of Kashmir. Maybe paradise doesn’t lie outside a man’s heart; it lies within and if so, then I say without hesitation that Kashmir is indeed the paradise inside my heart. Nowadays I live very far from this paradise but despite this, its memories are blooming in my heart all the time like an evergreen flower; and when I see the rays of the sun throwing their golden net day and night away from the boats with their inflated white sails, I remember that morning when I first saw the Wullar Lake; the very light fog touched the cheeks repeatedly like a silken veil. And the blue surface of the lake was still and far away the Blue Mountains spread out in the shape of a circle. The oar had ceased moving in my hand and the lotus flowers near my boat were looking at me with amazement; and far away a sailor was sitting in a big boat and his wife was standing cradling a child and was looking at where the sun rises. At that moment, the mother appeared to me to be the very embodiment of prayer, like the motherland; and the sky like the temple of the universe; and the child like the fragrance of incense. And then the sun rose from the blue peaks and suddenly the child chortled with laughter and the whole world awoke, and I felt as if the sailor’s oar, the trembling lotus flower, the silent surface of the lake and the blue peaks of the mountains were awaiting this laughter with baited breath. The sun arose, the child laughed and the world woke up and was saturated with colours. Many gems of Kashmir sparkle in the grey valleys of memory, from Bahramgala, there was a valley where I had lost my way to, a sloping cornfield where the crop had not grown well, the corn plants were lean and had grown helter-skelter. In the middle of the field was a loft which was covered with brown grass, but there was nobody there. It was afternoon and I was very hungry. I continued onwards, there was a long plot of grass in front of me where yellow daffodils were blooming; in front of it on a height was a plum tree which was covered with white flowers. Near it was a roof where the inhabitants of the house were eating lunch: an old cobbler, who had a white beard and a copper complexion; his young son whose blue eyes were full of a sanguine smile; the son’s beautiful wife who was cradling a beautiful child; two sisters; their brother who was clad in just a dirty old shirt and who had frozen while eating upon seeing me and then laughed, and his fingers were lined with rice and collard greens’ mustard, and his eyes had that amazement which is there when you see a stranger and his lips, that smile which is the product not of fear, but insouciance. The old cobbler smiled when he saw me. He did not inquire me about who I was? Where I belonged? Where I was going? What is my name or my religion? Meanwhile both the two naughty sisters climbed on top of the plum tree and rained so many flowers on us by shaking its branches that we were covered in them and the old cobbler sitting in the open sunshine near the other corner of the roof began to laugh. His white teeth were sparkling in the open sunshine, as were his deep blue eyes. That naughty sister duo was raining flowers on us; there were flowers on the young cobbler’s head, on the sole of the shoe, on top of my spectacles’ bow, and appeared kneaded out of them. When I had rested, I greeted the old cobbler, his son and his wife, and then those two naughty sisters and their younger brother who was clad in just a dirty old shirt, and who laughed seeing my spectacles, the three of them came to guide me to the way forward from the slope, and when they had done so, they sat down to play by the side of the stream and maybe forgot all about me in the next instant. But I haven’t forgotten them: that selfless laughter, pure love, that selfless symbol of mercy and love which one man gives to another in the journey of life, they all are still preserved in my chest as they have always been. It’s been ages since I have visited Kashmir, but during this time, a lot has changed there, because this paradise-like country is a human paradise, and human paradises are always changing. Even in that era, I had seen the burning embers of the hell of that paradise, the albums of misery and hopelessness, the imprints of poverty, I had known about the buying and selling of the paradise’s beauty, these burning embers will become a volcanic crater one day and this lava will spread far and wide in the gardens and valleys of Kashmir. What I had feared, had happened, and the beautiful valley of Kashmir was engulfed in ash and blood. And today, I am very far from my paradise, today I cannot say where is that mother who had stood like an embodied prayer before sunrise in the middle of Wullar Lake, with her new born baby; where is her husband who, sitting on that boat, his hands on the oars, saw his wife with eyes full of love. Today I cannot say where the strange struggle of Kashmir has carried them, but wherever they are, my salute to them. Today I once again remember that plum tree and the house roofed with brown grass in the cornfields, and the old cobbler sitting on the red grit roof, who is smoothing the leather with the plane, and the white showers of the plum are falling on me, and the laughter of those two sisters in my ear, and the amazed smile of that boy, who is clad in just a dirty old shirt, whose fingers are lined with white rice and mustard. I don’t know where they are today, but wherever they are, my salute to them. Maybe that plum tree is not covered with flowers. It’s also possible that no one has ploughed the sloping cornfield, maybe that old cobbler is not smoothing the leather on the red grit roof of his house, but is crushing stones along the side of a road, and his son has died in the great struggle while fighting for the honour of his sisters. Maybe today a widow is sitting on the grass-roofed house in the cornfield, in whose black chador a new Kashmir is being nourished on milk. It’s possible that all this is true, but I do know this that Kashmir will always remain like paradise, its children will once again resettle this ash and blood-laden valley, the plum tree will flower again, we will see the golden corn in the cornfields again, there will be rice, mustard and butter in the earthen bowl, as well as the laughter of sisters and brothers. There is a water-mill above the Ferozepur Canal. Here two stone slabs are revolving with increasing speed, the water is falling from the mill like a waterfall; nearby on the grass plot are gigantic white flowers hanging on very long stalks, and the whole air is fragrant with aniseed plants. Lying on this place here, I had read Gorky’s novel Mother. Today I want to go there again and want to read the same novel sitting near the watermill, because I am certain that the land of Kashmir is Gorky’s ‘Mother’. That land is my mother too and they say that paradise lies at a mother’s feet!